JuniorGym is designed for our pre-schoolers to try independently following the instruction of a coach around various circuits in the gym. Adapted from MiniGym, we aim to challenge individuals as well as improve on their fundamental development as a good base for gymnastics and many sports. Our themed circuits include gymnastics elements, hand apparatus and parts of the fundamental programmes to keep children engaged and learning several skills within the circuits. This class is suitable for children ages 3 – 4 years, led by our British Gymnastics qualified coaches specialised in Pre-School Gymnastics. 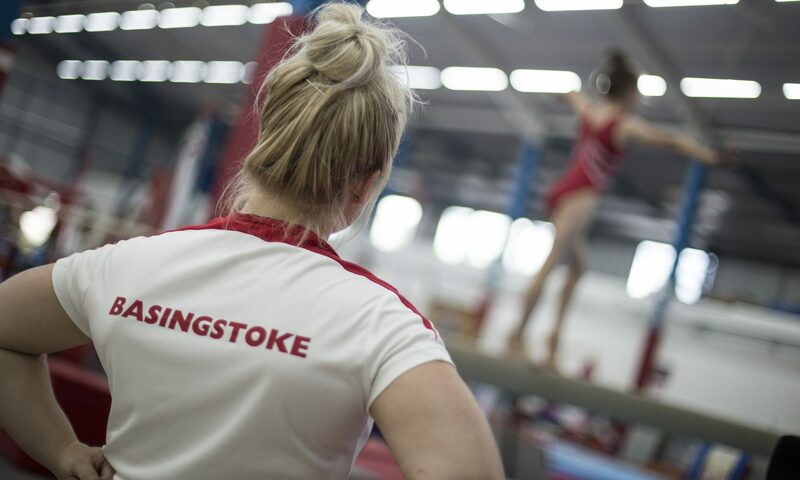 Gymnasts will work towards our own badge system which point out gymnastics shapes and key skills that we feel are beneficial to progress their gymnastics further as well as focusing on skills that will help with future development. This is the most advanced class in our Pre-School programme, we advise that new members try our pre-school classes with parent first (MiniGym) however all classes are open to all abilities. Gymnasts can then progress to our after school Gymnastics/Trampolining/Aerobics/Freestyle classes for children when the child is 4/5 years (in full time school).